If you need Steel supplies for your project in North London, you can depend on us. 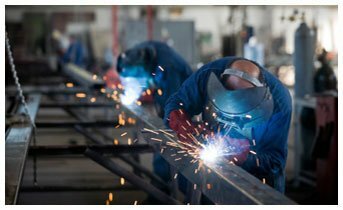 We have a large range of steel materials including beams, columns and reinforcement. Browse our website to see what we have available. If you don’t see what you’re looking for then give us a call. We’ll happily try and find it for you. B & S Steel have daily deliveries throughout the whole of North London. Order today and we’ll do our best to get your steel out to you quickly. We are No.1 in North London for structural steel. If you can’t see what you want, give us a call and we’ll do our best to find it for you. Need to get in touch? Use our website to request a call-back or contact a member of our team. Contact us if you need to organise our crane offload facility or if you’re unsure about the amount of steel you need to buy. Come to us for high quality products and great customer service. Place your order today for delivery throughout North London.